What Types of Juice Can Be Used to Clean Pennies? 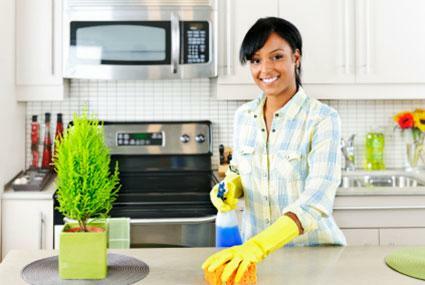 Throughout your home there are numerous items and areas to be cleaned regularly. Let the articles at LoveToKnow Cleaning give you the tips and tricks you need to best clean and tackle all of these areas effectively and efficiently. Leather: No all leather is created equally. Get tips on how to clean leather upholstery, items made out of suede and even items made out of patent leather. Metal: Different metal surfaces react to cleaners differently. Learn how to best clean the brass, copper, silver and other metals in your home. Fabrics: Learn the best tricks to get mildew out of fabric, clean your wool rugs and wash your children's stuffed animals. Homemade Cleaners: Learn to make your own cleaners to tackle things like glass, mildew stains and tile grout. Commercial Cleaners: Get the information you need to make the right decision regarding commercial cleaners such as Blue Gold Industrial Cleaner, Eat Cleaner and the Mr. Clean Magic Eraser. Everyday Cleaners: Sometimes items you have around the house can be used for cleaning purposes. Learn how to use things like hydrogen peroxide, vinegar and juice to clean your home. Arm yourself with the knowledge and know-how you need to get your home and everything in it looking its best. Follow these cleaning tips and your home is sure to be sparkling in no time.